An employee of Ecobank, Babatunde Oke, on Thursday, died in the custody of the Falomo Police Divisional Headquarters in Lagos, after he was detained for three days over his alleged involvement in a N1.2m fraud. Oke, who is survived by a wife and two children, was said to have worked at the Ogba, Lagos branch of the bank. Though the real cause of his death is yet to be ascertained, witnesses said he slumped at the police station after taking a soft drink. According to a media consultant, David Ekpo, who wrote about Oke’s death on social media, the deceased had paid part of the missing money before he was arrested by the police. 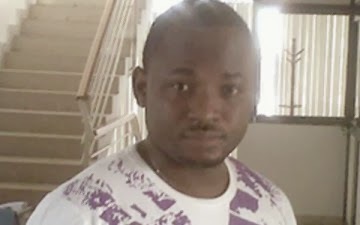 The lawyer to the deceased, Femi Olatunde, also said the Ikoyi police station had demanded the he paid the sum of N1m before he would be released on bail. Olatunde said, “I was at the police stattion before they brought him there at about 7:30pm on Tuesday, the police refused to grant him bail. They said we must bring N1m. This was a case of fraud involving about N1.2m. The following day, his father came from Abeokuta and they told him the same thing. I negotiated with them and they brought their demand down to N600,000. The father told me that he was going to bring N100,000 and I was to make arrangements to get N100,000. I spoke with him on the phone around 12:45pm on Thursday and 30 minutes later, was told he was dead. The deceased’s immediate younger brother, Seun Oke, corroborated the lawyer’s account and added that he was at the police station when his brother died. He faulted the bank for freezing the deceased’s children’s account, making it difficult for his wife to withdraw money for their upkeep. Oke added that he and his mother waited outside the police station for the lawyer to come with the money, when he saw a van taking his brother to the hospital. He said, “I spotted my brother’s shirt and saw that he was lying down in the van, unconscious. I ran and flagged them down. They allowed me enter, when they knew I was his brother. He was lying almost lifeless. I saw him making little movements on our way to the hospital. He was foaming; some substance and blood were coming out of his mouth. When we got to the hospital, he was pronounced dead. Wife of the deceased, Ebun Oke, told our correspondent on the telephone that the police cannot claim ignorance. Mother of the deceased said she was with Babatunde on the day of the incident and did not suspect anything until he was brought out from the station on a stretcher. A close friend of the deceased, Olukunke Falade, described him as easy-going. He said, “Tunde and I grew up together in the same area in Onipanu, Lagos. Our families were close. His mum and my mum were friends and his dad and my dad were friends too. We both attended Obafemi Awolowo University, Ife. Though he got to Ife before me because he was older than me. A member of the Brand and Communication Unit of the bank, Austin Osokpor, told SUNDAY PUNCH, that the deceased had admitted to committing the fraud and the bank reported to the police as was required by law. He said, “There was an ATM fraud, it was traced and it was found out that it was him. He admitted it. The police was informed as is normally done and he was taken to the police station. The family said they didn’t want him to be prosecuted. Instead of going to court, they wanted to refund the money. Osokpor said the bank immediately ordered for an autopsy. When contacted on Saturday, the state Police Public Relations Officer, Ngozi Braide, refuted claims that Oke was tortured to death. Braide said the deceased drank a soft drink before he slumped.